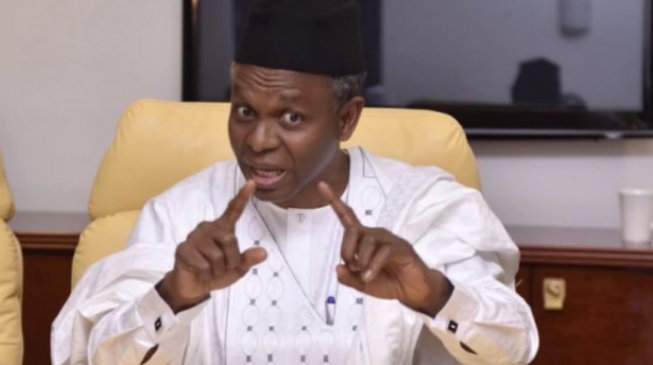 Mixed reactions have continued to trail the Kaduna State governor, Nasir El’rufai’s decision to pick a Muslim woman as his running mate. This was due to the correlation and sensitivity to religion and politics in the state. The state governor on Friday announced the selection of Dr. Hadiza Balarabe as his running mate for next year’s general election, as the incumbent Deputy Governor, Barnabas Yusuf Bala, has opted to go to the National Assembly and has since emerged as the All Progressives Congress’ (APC) candidate for the Kaduna South District. Dr. Balarabe, born in 1966, is from Sanga local government, which is located in the southern Kaduna senatorial district. Though the governor said the choice of Balarabe as his running mate was part of a deliberate policy to promote women’s participation in governance, The Nation reports that the Muslim-Muslim candidature might still give the ruling party a big headache in the 2019 governorship election in the state due to the sensitive ethno-religious nature of the state. While the Christian Association of Nigeria (CAN) and the leadership of Southern Kaduna People’s Union (SOKAPU) see the governor’s decision as his own choice, saying electorate will decide his fate, others have come down heavily on him, accusing him of religious insensitivity. SOKAPU President, Barr. Solomon Musa, said only electorate can decide who will govern them come 2019, since there are aspirants under different political parties vying for governorship position in the state. Musa said it is the prerogative of anyone aspiring for public office to choose whoever he wants as his running mate and that the incumbent governor has the right to pick anybody of his choice. “Remember it is not only one party that is in Kaduna State, there are so many other parties. “What we are hoping is that Kaduna State and southern Kaduna should never be polarized along religious line. So, if anybody decides to polarize Kaduna State along religious line, that again is that person’s prerogative,” he said. But in his reaction, Dr. Ben Yaryok, a retired civil servant from Kargarko Local Government in the southern part of the state said there is nothing in a Muslim-Muslim to govern the state, since government’s plan remains for everybody irrespective of their ethno-religious background. Reacting differently, Coalition of Nigerian Political Parties (CNPP) warns that El-Rufai’s decision to pick a Muslim running mate will overheat polity in the state, especially as people have for long been challenging the governor for his utterances to Christian dominated part of the state.